Peerage Capital is a leading North American business services and private investment firm. We are focused on partnering with exceptional management teams to form long-term investments across several strategic business services platforms including real estate services, real estate, asset management, wealth advisory services, land assembly, and aviation services. Our growing network of partner companies employs over 1,000 people across Canada and the United States with over C$6 billion in total assets under management. Peerage Capital is a successful business services and private investment firm. Our executive team is comprised of highly experienced professional specialists that use their history of entrepreneurial successes and talent to accelerate the growth of our partner businesses. Our value-add services include legal, finance, strategy, marketing, mergers and acquisitions expertise and communications. We strive to ensure that our partners benefit from the combined expertise of our executive team to enhance the sustainable, profitable growth of their companies to maximize their value. From the beginning, Miles Nadal has led Peerage Capital’s management team with a singular core philosophy: to strategically leverage the power of human capital. Capitalizing on the appreciation of unique talent, we partner with exceptional management teams in perpetuity resulting in organizations that can achieve greater levels of prosperity. The essence of our vision is the alignment of economic and cultural interests through a strong belief in partnership and collaboration. We believe that superior talent is the ultimate driver of long-term growth and success. Accordingly, we operate with a strong culture of partnership, collaboration and alignment of interests, both economically and culturally. This approach has enabled us to partner with exceptional management teams for successive generations, resulting in organizations that can achieve greater levels of growth and prosperity. Today, the scale of our operations means we have significant access to proprietary deal flow, while the size and liquidity of our balance sheet and our own agility, allows us to pursue transactions few others can consider. We are value investors with a contrarian point of view and we have learned that some of the best opportunities are found in sectors where capital is scarce. Our critical distinction is our determination to partner with entrepreneurial management teams who lead firms with a sustainable point of differentiation, a unique selling proposition, significant free cash flow, and have a strong potential for organic growth. We focus on building long-term relationships with our partners and providing them with the capital, strategic support, and other vital resources they require to grow their businesses. Peerage Capital does not require outside capital and is therefore able to partner with management for the long-term succession for future generations of management. ECHELON Echelon Wealth Partners is a leading independent wealth management and capital markets brokerage firm with offices across Canada and in Tokyo. Known for its client-centred approach and entrepreneurial spirit, Echelon is a rapidly growing firm with more than 80 investment advisors and portfolio managers and over $4 billion in assets under management. ARTEMIS Artemis Investment Management Limited was founded in 2005 to provide investors with the opportunity to achieve world-class portfolio allocation by facilitating efficient access to alternative investment opportunities. Its wide range of investment mandates are designed to support a variety of financial objectives from preservation of capital to sector-specific growth. ARS INVESTMENT PARTNERS A privately held firm based in New York, ARS manages private client’s portfolios by distinguished investment managers, focused on driving success through the strength of their relationships. ARS’s differentiated range of investment strategies and collective experience has successfully grown the company to over $1.1 billion in assets under management. VESTCAP Vestcap Investment Management was founded in 1988 to provide highly personalized and attentive investment management services to individuals, trusts, and estates. Established to create an investment counselling firm for institutions and individuals who had attained self-sufficiency, Vestcap continues to grow an extensive list of high-net-worth clientele. PEERAGE REALTY PARTNERS Our mission is to partner with the industry’s iconic leaders and forward-thinking brokers and owners that are interested in joining a new kind of real estate brokerage network. We’re dedicated to delivering an outstanding customer experience throughout each and every transaction. 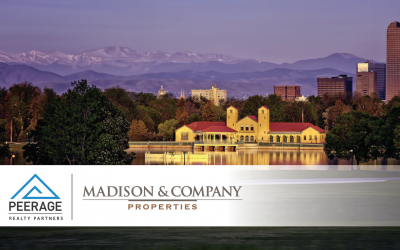 Together, our partners transact over $7 billion of residential homes and condominiums. Our vision is to empower our partners to facilitate their growth and success in their local markets. BAKER REAL ESTATE INCORPORATED Baker Real Estate specializes in project marketing and sales of pre-construction condominiums, new homes, hotel condominiums, resorts, and master planned communities. With a proprietary technology platform and a network of over 5,000 Baker Realty partners, Baker represents the leading brokers in the business. Baker is one of Canada’s most successful real estate companies, conducting an impressive volume of sales in new home and condominium sales every year throughout Canada. CHESTNUT PARK REAL ESTATE LIMITED, BROKERAGE Founded in 1990, Chestnut Park has grown to become one of Southern Ontario’s leading luxury full service real estate brokerages with over 300 top agents and local offices in the most desirable markets including Toronto, Muskoka, Collingwood, Prince Edward County, and 1000 Islands. As an affiliate of Christie’s International Real Estate, Chestnut Park is also able to provide unparalleled access to the global real estate market. FIFTH AVE REALTY Fifth Avenue Real Estate Marketing Ltd. specializes in the marketing and sales of new residential communities for developers throughout British Columbia. Fifth Ave has a concentrated focus in the Lower Mainland, the Fraser Valley, and Central Vancouver. An award-winning brokerage, Fifth Ave has received over 139 industry and community awards of excellence for its innovative work and superior customer service. STREETCITY REALTY StreetCity is a leading real estate brokerage that is known for its fresh take on home sales. StreetCity focuses on superior customer service, professionalism and family values. They are supported by the latest technology and social media marketing. With over 160 Agents, StreetCity is one of Ontario’s fastest growing real estate brokerage with new branches opening in cities across Ontario including London, Thunder Bay, Sault Ste. Marie, Kingston, St. Thomas, Hamilton, Port Dover, Glencoe, and Sarnia. PEERAGE SELF-STORAGE Peerage Self-Storage is a diversified owner, manager, developer, and re-developer of independent self-storage facilities across Canada. Peerage Self-Storage has investments in ten self-storage facilities with approximately 550,000 sq. ft. of net rentable space. Peerage Storage’s unique differentiator in self-storage is the innovative use of superior marketing, design, and technology in all of its facilities. VAULTRA SELF-STORAGE Vaultra Self-Storage specializes in managing and providing secure and convenient storage compartments of varying sizes for individual, corporate, commercial or industrial usage. A growth oriented company with locations in Alberta, Quebec and Ontario, Vaultra continues to expand into new markets across Canada while setting a new standard in the Canadian self-storage industry. FROBISHER BAY TOUCHDOWN SERVICES Frobisher Bay Touchdown Services runs out of Iqaluit Airport (CYFB) in Nunavut and provides safe, efficient ground handling services to corporate jets, military aircraft, and the smallest ferry flights transiting through CYFB. CYFB is the perfect location for cold weather testing of even the largest aircraft. Consistent -30C winter temperatures, a long and wide runway, and all the ground support services required, makes its remote, secluded location the secret choice of the world’s leading aircraft manufacturers. FIFTH AVE REALTY Specializing in the marketing and sales of new residential communities for developers throughout British Columbia, Fifth Avenue Real Estate Marketing Ltd. has a concentrated focus in the Lower Mainland, the Fraser Valley, and Central Vancouver. An award-winning brokerage, Fifth Ave. has received over 139 industry and community awards of excellence for its innovative work and superior customer service.